Monster Self Storage in Greenwood, South Carolina, is here to provide a solution to all of your self storage needs. We offer both traditional and temperature-controlled storage units for rent near Route 178/Montague Avenue Extension. 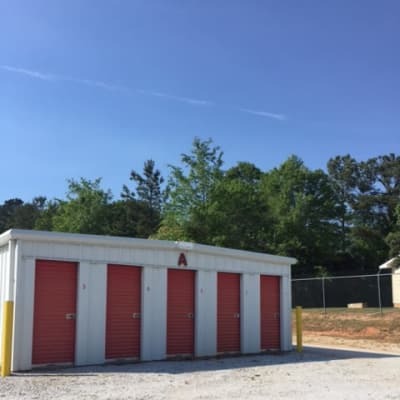 Whether you need a small closet-sized unit to store business files and paperwork or a larger garage-sized unit to house your latest Greenwood Flea Market finds, we have exactly the storage unit you’ve been searching for – and it’s priced right too! In addition to our already affordable storage units in North Greenwood, we also offer discounts to seniors and members of our military. Do you only need short-term storage? Month-to-month rentals make it easy to move in and out on your time. Even better, there’s no deposit to get started at Monster Self Storage. Here, we put customers first. Are you planning to store upholstered furniture, electronics, artwork, files, or other temperature-sensitive items? If the answer is yes, then you should consider choosing temperature-controlled storage. Why? Temperature-controlled storage maintains the interior temperature of your unit to ensure your belongings never get too hot in the summer or too cold in the winter. For more information on self storage in Greenwood, contact Monster Self Storage today.